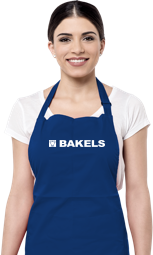 As bakers and patissiers ourselves we know the importance of quality ingredients that are profitable and proud to introduce Bakels Instant Cream. No separate preparation area required like with fresh cream, easy dosing and no wastage. Simply add 1 sachet of Bakels Instant Cream to 1 litre of water to make a sweet, stable cream. Supplied in powder form and stored at ambient temperature, whips to over 3 times its volume, presenting significant cost-in-use benefits over UHT creams. Bakels Instant Cream remains stable when mixed with highly acidic ingredients at up to 20%, expanding serving possibilities. Also can be over whipped without negatively affecting product quality. Excellent shelf life - maintains high quality over shelf life, without cracking like many UHT products. It's freeze-thaw stability allows bakers to plan production batches and maintain beautiful looking display counters throughout the day. 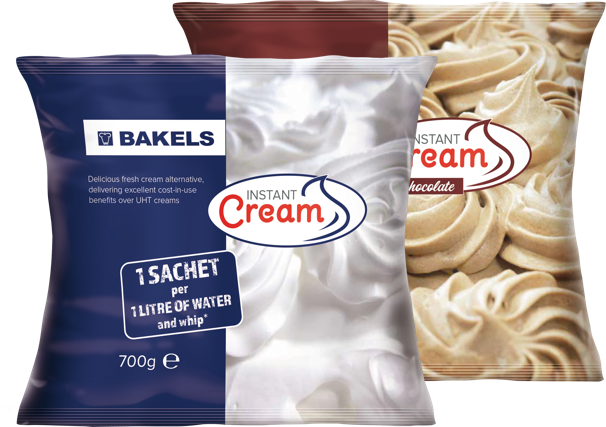 Bakels Instant Cream produces excellent volume, allowing the baker to both reduce calorie intake for consumers, increase profit margin and top/fill more products per litre than competitor UHT creams. Will provide you with the following cost savings. Our team of patissiers have whipped up a few simple application ideas just for you.